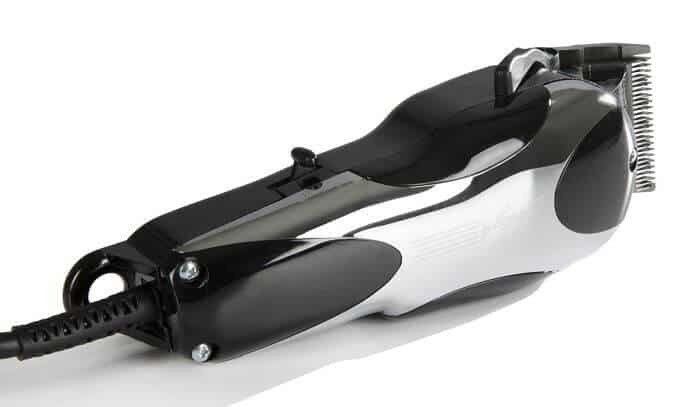 The Sterling 4 series are somehow left aside when it comes to popular Wahl hair cutters. I can understand why if it’s about the corded V5000 version. There are some better options in this case. However, the cordless Sterling 4 clippers are an exceptional model. In this Wahl Sterling 4 review, I’ll take a look at both versions of the Wahl Sterling 4. There’s quite a few things to know about them. I’ll also do a Magic Clip vs Sterling 4 comparison as a few of you requested this. 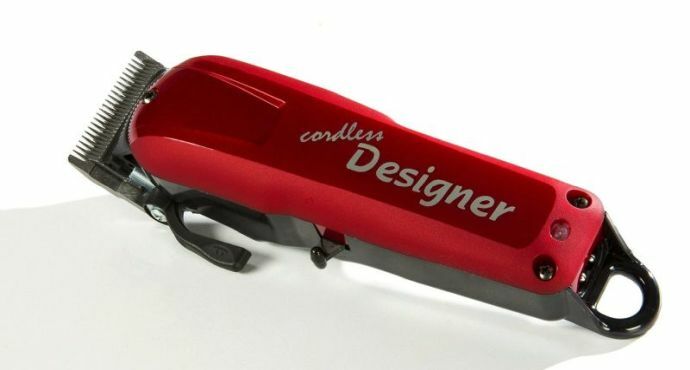 Furthermore, I’ll also talk about the cordless Designer vs cordless Sterling 4, another discussed “battle”. Let’s start this Wahl Sterling 4 review with an overview. Both clippers from the 4 series stick to a mixture of black and chrome looks. In a way, that’s similar to how the Super Taper II is. Quite distinctive and elegant, I’d say. 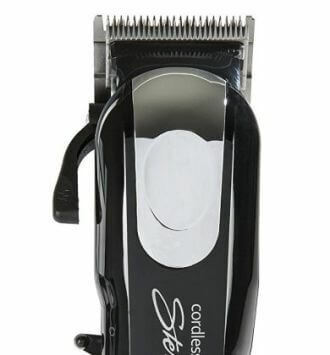 The corded Sterling 4 clipper packs 6.25″ and weighs 1 lb, which is a standard for Wahl professional clippers. It runs on the older V5000 motor. Sure, you get enough power – Wahl electromagnetic motors are quite great, but it’s not the V9000 one. In stark contrast, the cordless model weighs only 10.2 oz, despite being the same dimension – 6.25″. It also features a rotary motor that runs cooler and moves the blades softer, reducing risks of them getting misaligned. Both models share Wahl’s adjust-lock #1005 blade. It’s the standard professional blade, ready for bulk cuts or more detailed work. With the V5000 Sterling you get 6 guards (1/8″ to 1″.) 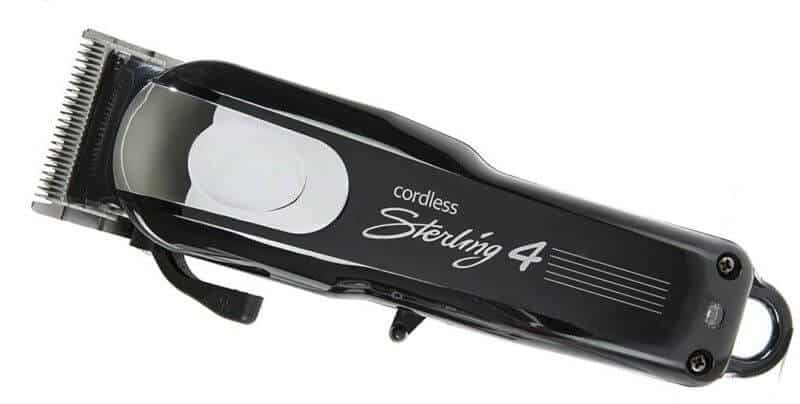 The cordless Sterling 4, however, adds 2 more (1/16″ and 3/16″) which are great for blending. You’ll receive both oil, blade guard and clipper brush in the packages. Here’s the thing: between the corded models, there’s no reason for you to get the Sterling instead of the Clip. And I mean it. The corded Magic Clipper beats the black/chrome 4 in every aspect. It has the newer, stronger V9000 motor instead of the V5000. You get the full set of 8 combs, instead of only 6. And, instead of the standard #1005 blade, you get the #2191 one. A more versatile blade with more precise teeth, it’s specially designed for outstanding fades. With the cordless models, it’s a bit trickier. The cordless Sterling 4 clipper has the same battery as the cordless 5 star Magic Clip. Both share the same rotary motor and the same size/weight. If you want to do fades specifically, however, the wireless 5 star Magic Clip is again better. It has the #2161 crunch blade, which is great for both sharp fading and ethnic hair. You can read our full review of the Magics here. Things get extremely equal here. Unlike the blade difference with the Magic Clips, here both clippers share the standard #1005 blade. Everything’s the same: battery longevity, weight, the casing materials and overall feel. And yes, even the accessories you’ll receive with these. The cordless Sterling 4 clippers are more elegant and tame, in a way. It’s really all about whether you prefer the black/chrome or the red/black theme. Sterling 4 series are a hit or miss, depending on the model. I’ll vote “Pass” on the corded one: you have way better opportunities, as I mentioned. The cordless variation, though, is quite good. It features a long-lasting Lithium-ion battery, a good rotary motor and Wahl’s professional blade set. Whether you prefer going for the cordless Sterling 4 or the Designer is a matter of personal preference. If it’s about the fades and deeper blending, I’d advise you to consider the Wahl Magic Clip from Amazon.com instead. Whichever of these you go for, rest easy. You’ll be getting a powerful, barber-grade wireless Wahl clipper. It’ll serve you well. Is the Sterling 4 engine and Magic Clip Cordless V5000? The rotaries are a bit more powerful than the V5000, at least from what I’ve felt. Alex, please, these clarifications about all the machines on your blog, are about machines manufactured and marketed in the USA or on machines from another country? We’re only familiar with the US versions of the clippers, unfortunately! But most of the time they’re the same, with a few exceptions. I think the corded Magic Clip is one – where you have a V5000 motor, instead of a V9000 if you get it outside of the US.